Using the most advanced lithium iron phosphate nano cell technology, LiFeBlue battery is built with the highest construction standards. LiFeBlue deep cycle battery technology has the benefit of over 10 years of lithium battery development from a global leader in Lithium battery manufacturing. Brilliant Design. That's what makes our battery safe. Each prismatic battery cell is connected to our built in Battery Management System (BMS) that continuously monitors the operating parameters of the battery. Our battery will intelligently turn itself off in the event the user does something wrong. When the fault is corrected, the battery will turn back on. Of all Li-ion chemistries available, LiFePO4 has been proven the safest. Our proprietary BMS and Bluetooth conectivity makes it even safer. LiFeBlue batteries can be installed just about anywhere. There is no need to vent the battery. Our batteries do not corrode because there is no acid, only a non-toxic organic electrolyte. By using the most modern LiFePO4 prismatic cells with long battery cycle life, and at less than half the weight of lead batteries, LiFeBlue zero maintenance batteries will save you money in the long run. 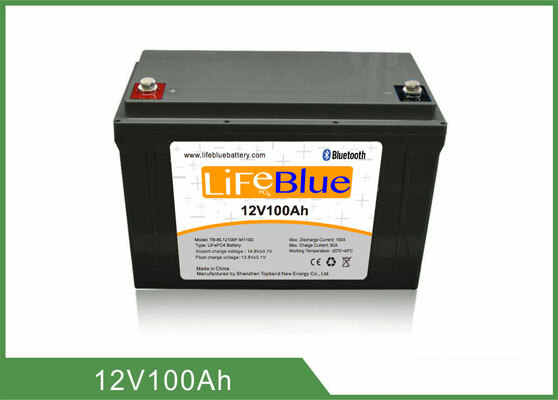 One LiFeBlue battery can last longer than 4-6 sets of lead acid batteries. LiFeBlue batteries are for Life. Not all Li-ion batteries are smart. In fact, none are as smart as ours. Every battery we offer includes our exclusive SMART CONNECT Bluetooth® wireless data monitor. Our BMS system sends data to the wireless transmitter in each battery. Simply download our free app from the app store and you can connect to your batteries in seconds. With your compatible IOS or Android device, you can see the operation and performance of each battery. With our built in State of Charge (SoC) gauge, you will always know the remaining capacity of your battery bank as well as other important information about the battery operation. Other battery manufacturers claim to be a "smart" but if their battery shuts down, you are in the dark....literally! 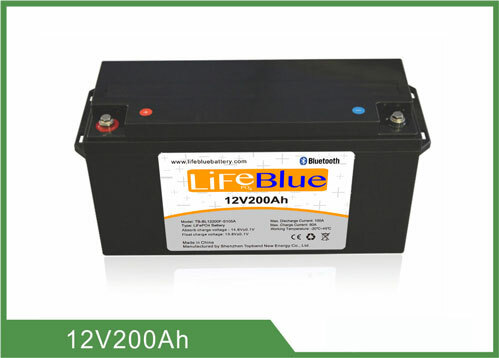 Choosing LiFeBlue Battery is choosing the real smart battery! Copyright © 2017 LiFeBlue Battery. Trademark "LiFeBlue" and the LiFeBlue logo is owned by Lifeblue Battery. All Rights Reserved. If you have any questions at all, email us.